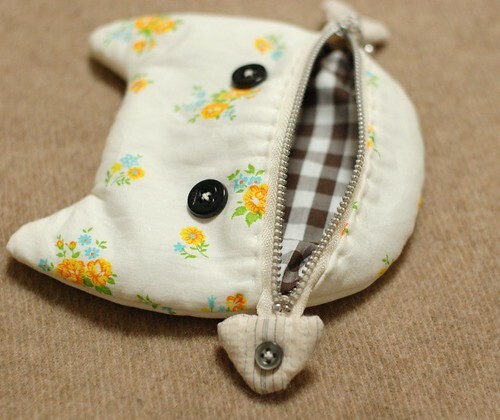 Your little kitty pouches are adorable!!! I love the little fish heads and tails sticking out of their mouths; you can tell they've been in to some trouble. These are supercute! Such a good idea. These are absolutely adorable! I can't imagine that your customer wouldn't like all of them! Thank you for the post of the blog. I'm happy that you liked them! Thank you little t jane, Merruli, Cheryl! My customer liked them all. I'm happy! 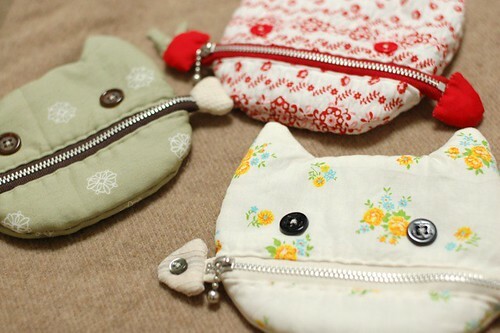 Mai love your pouches! They are super cute...I'm sure your customer is gonna have a hard time deciding which to buy...coz all of them are just sooo lovely! Hope your having a good weekend. I just got back from one of my fav craft shop and i picked up some lovely items for you as well. :) Love to you! I love your pouches, they are so much fun! 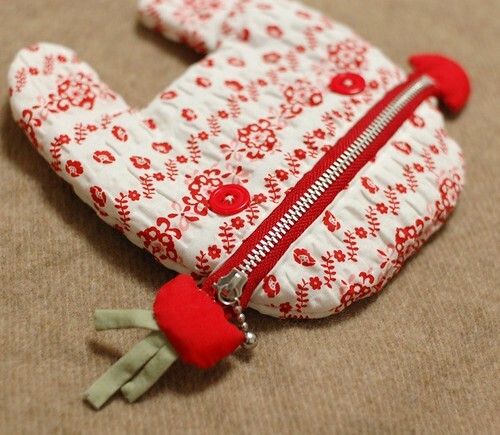 The rabbit eating a carrot is a great idea, and the fabric is so cute. I just love your cat purses, they make me giggle! Well done. Very adorable nekko ! I don't like to work with zippers too - gives me headaches ! 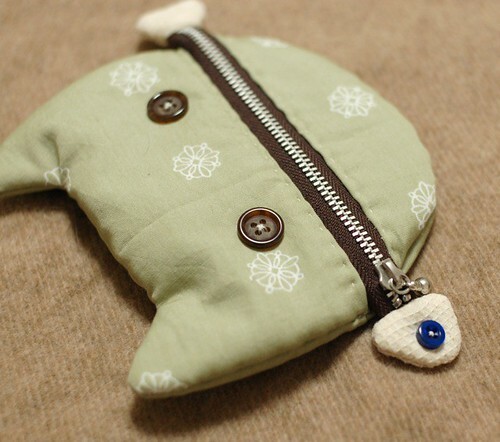 Now I'm getting more zippers to make them. This is incredible! Truly amazing!! Such an original idea, and whatever you make, it always seem to turn out gorgeous. I'm always thinking new idea! This is as adorable as your blog and ideias are!! !